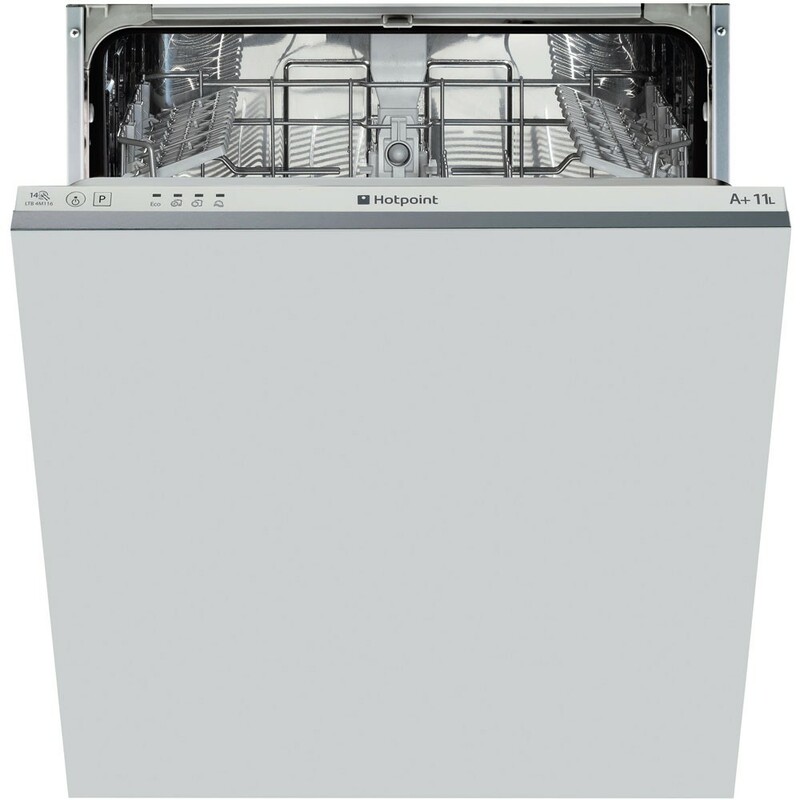 The Hotpoint LTB4M116 Full Size Dishwasher is an A+ energy rated fully integrated dishwasher. With 14 place setting and four programmes it gives you great choice and ample room for loading. During a cycle, a specialised sensor system determines how soiled the dishes are and then alters the programme accordingly - it's never been so easy to enjoy sparkling plates and dinnerware. Adjustable racking, a cutlery tray and a height adjustable top basket offer the option of configuring the interior to fit even the largest of pots and pans, while a triple stage smart filter system helps to make sure your crockery receives a superior cleaning experience every time. It is also rated A for washing and drying performance and A+ for energy efficiency.